Our spacious rental Jaguar F-Pace is a luxury performance 4x4 which brings together sporty handling and dramatic beauty with everyday practicality and efficiency, designed to provide an exceptionally high level of comfort and luxury that only Jaguar can produce. 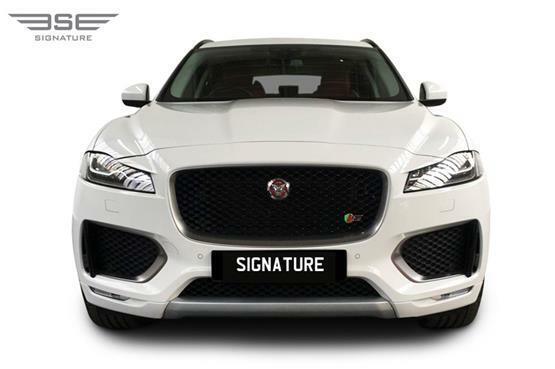 Rent a Jaguar F-Pace with Signature Car Hire in the UK and enjoy motoring opulence from one of the Britain's finest car marques. 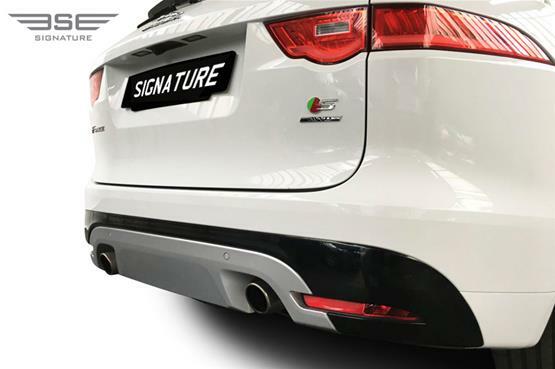 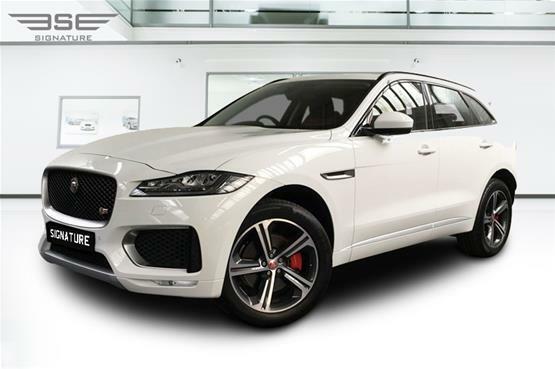 Our glossy white Jaguar hire car has already proved to be an exceedingly favoured luxury hire car in the UK, extending unrivalled sporty handling and top performance which combines maximum driving exhilaration with efficiency. 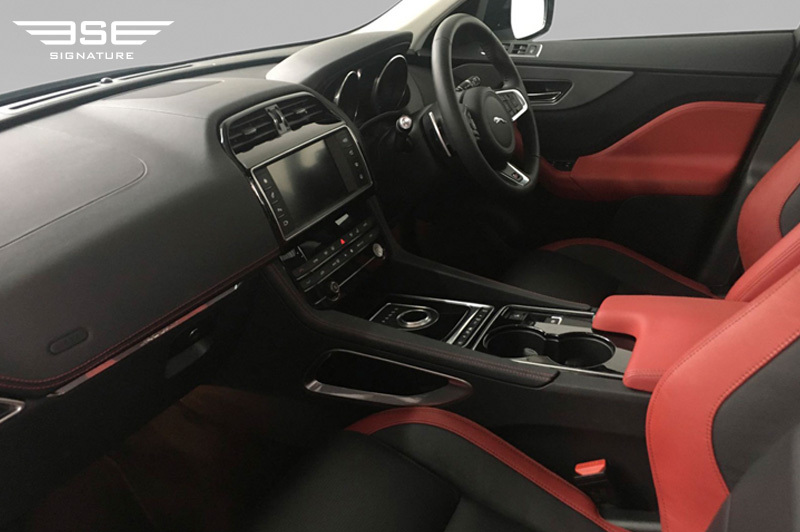 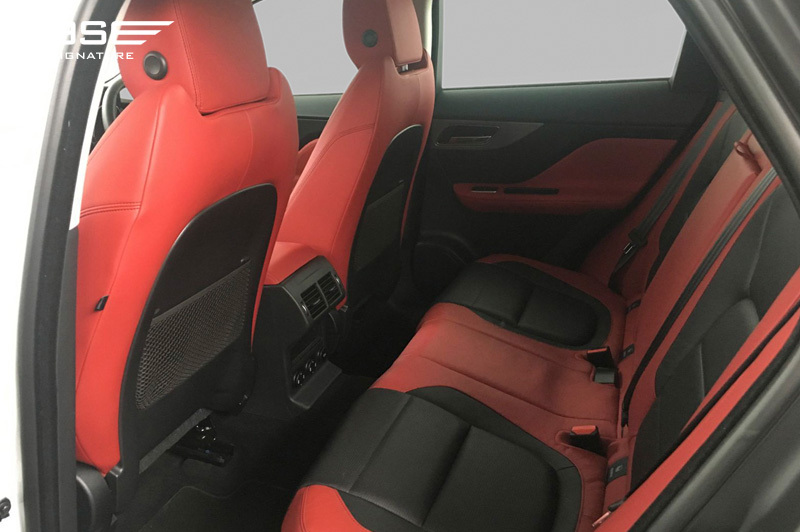 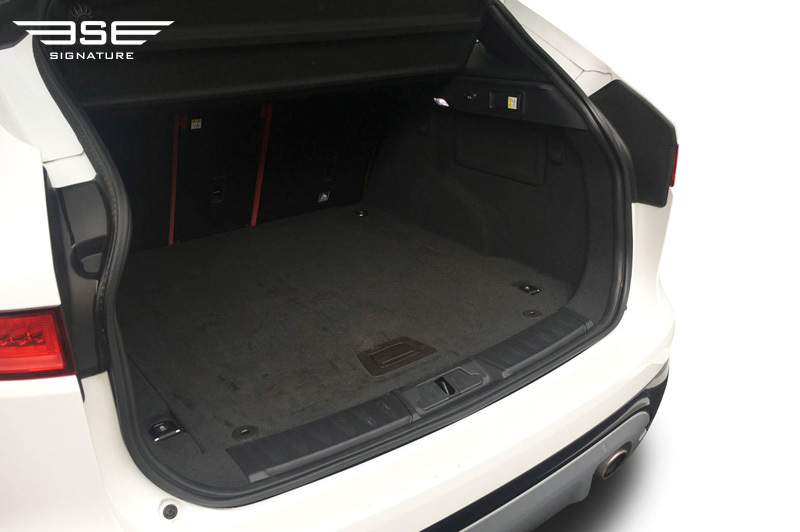 This car boasts high levels of comfort; all seats are made from the finest Italian leathers and come heated and softly padded making them is ideal for business travellers coming in to the UK or for a growing family. The car has received high safety ratings and has impressive performance and speed stats. 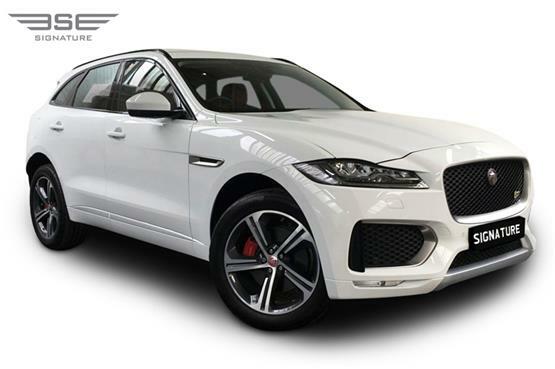 Technologically advanced to the core, our F-Pace helps to keep you safe, connected and entertained with Bluetooth and hands free connectivity as standard. This rental Jaguar has the capability for every road and the capacity for every day making it a great choice for a hire car in the UK. 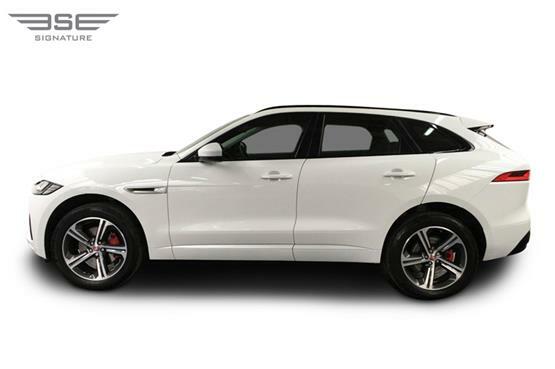 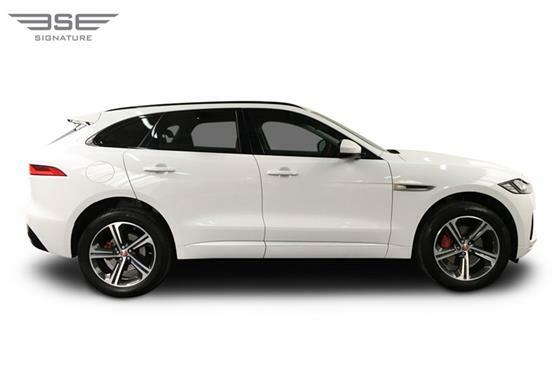 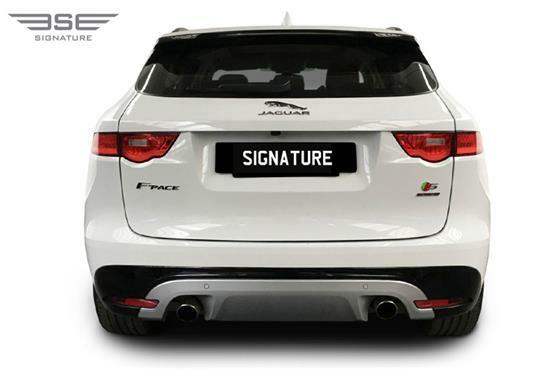 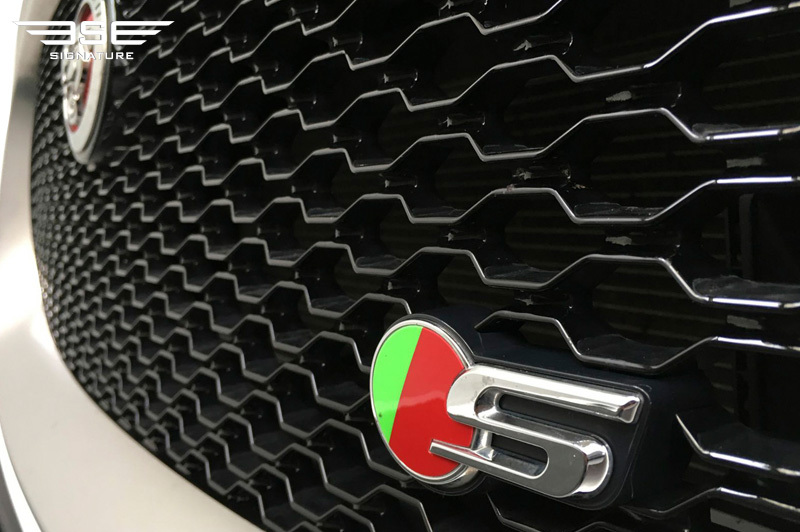 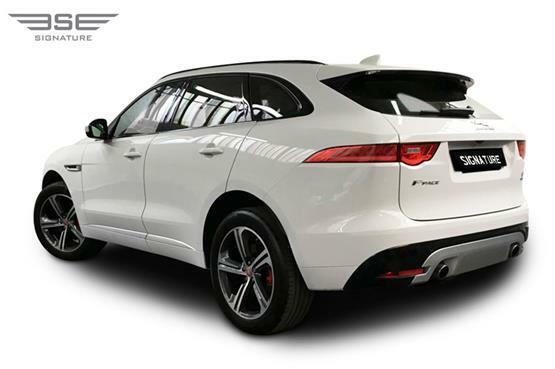 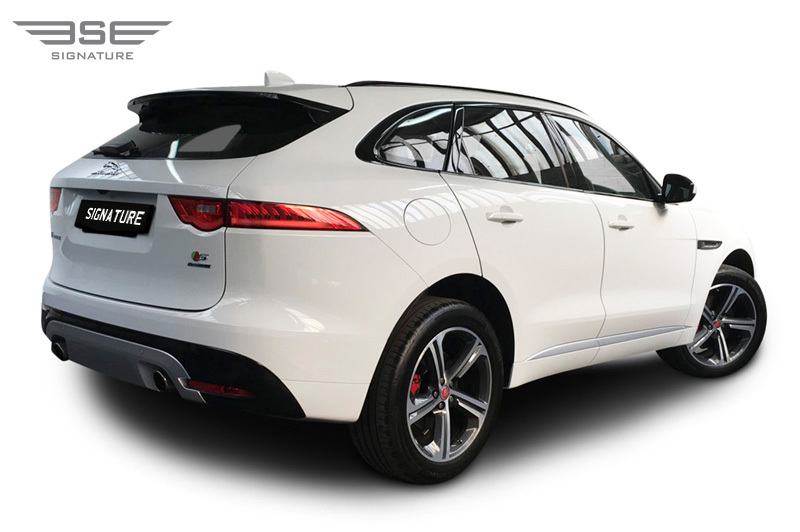 Our Jaguar F-Pace is a performance 4x4 with a sports car identity. 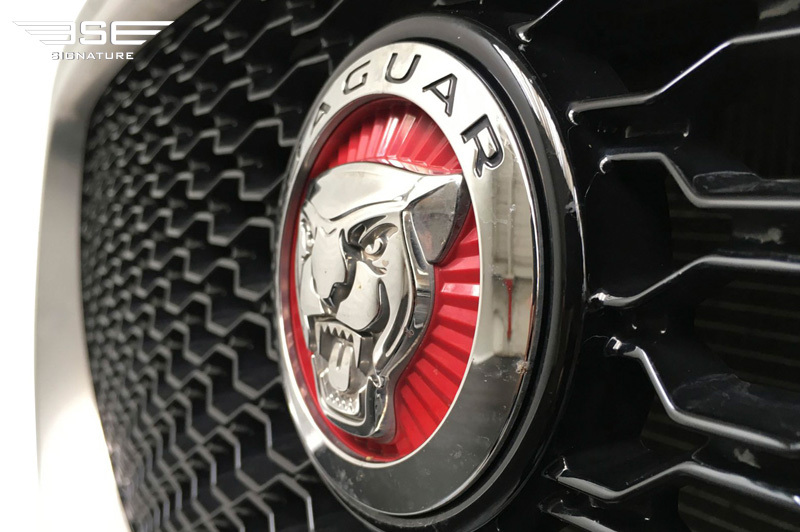 From the bonnet bulge to the pronounced rear haunches, its authoritative looks make it singular and gives it a head turning road presence. For more information about how you can rent our Jaguar F-Pace hire car in the UK, call Signature on 0207 118 2244 today.